One of the most important issues for museum curators today is to enhance the digital experiences of visitors. Multimedia and hypermodal resources have been tailor-made to meet the expectations of modern audiences, or so the curators have perceived. With a view to investigating the effectiveness of museum-based multimodal devices in Hong Kong, this chapter uses a case study evaluation approach to examine the visitors’ digital experiences in “Claude Monet: The Spirit of Space” (May to July, 2016), a much-acclaimed exhibition held at the Hong Kong Heritage Museum. To find out the museum visitors’ perception of the multimedia setting and their multimodal experiences in the Monet exhibition, the authors invited 12 Hong Kong adult visitors to participate in the case study. Findings from the small-scale opinion survey and focus group interviews revealed that digital devices, multimedia platforms, and resources do enhance visitors’ engagement, regardless of the different education levels or fine arts backgrounds of the exhibition visitors. However, in terms of narrative design and meaning making, most visitors reflected that digital platforms may sometimes overwhelm the core content they represent. Whether the aura of the masterpieces can be fully captured and/or enhanced by the digital tools has also aroused concerns. The gap between the exhibition content and the digital design has to be bridged. Based on the findings, this chapter explores how images, sounds, words, and designs interact and integrate in constructing a coherent discourse in the exhibition. 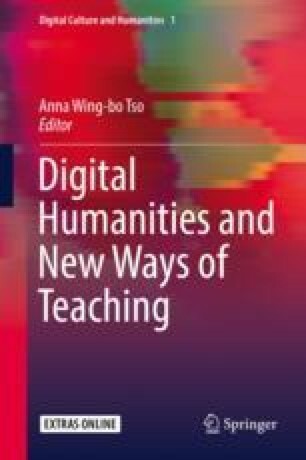 This chapter also discusses ways to craft a focused, specific, and coherent narrative as learning experiences at museums become more and more digitized.